A fun, far out place for modern, comfort food in New York City. Clancey is located on the lower east side near the Manhattan Bridge so getting there is an effort, but worth it as the food, staff and funky ambiance create a delicious experience. We recently enjoyed a delightful brunch. 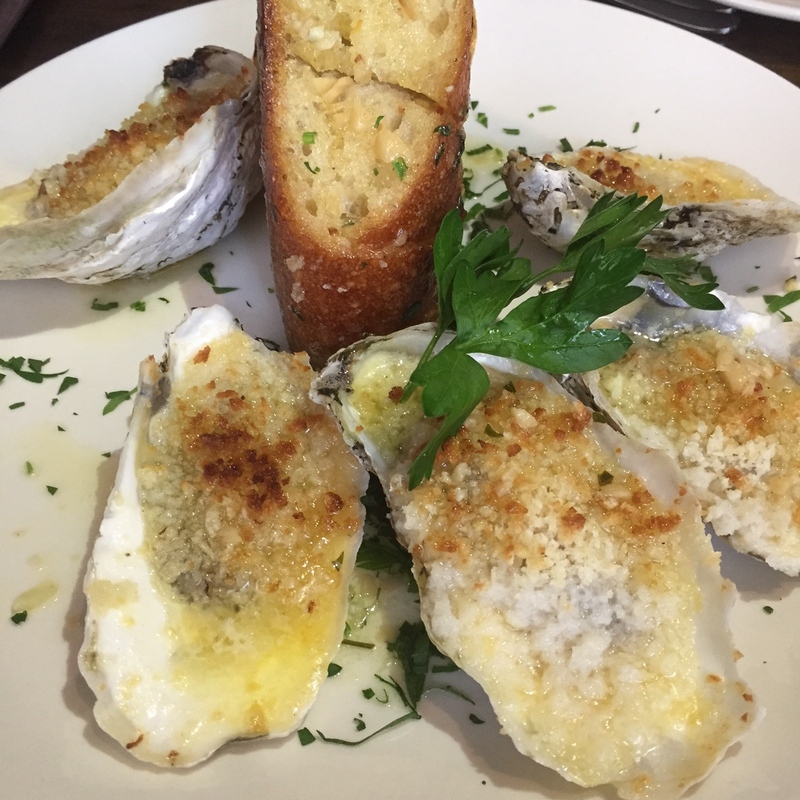 We started with Chargrilled Oysters with garlic butter, pecorino and bread for dipping. This is an outrageously delectable dish. I could have ordered a dozen more ($14). I never opt for Fried Chicken, but it was so highly recommended that I dove in. 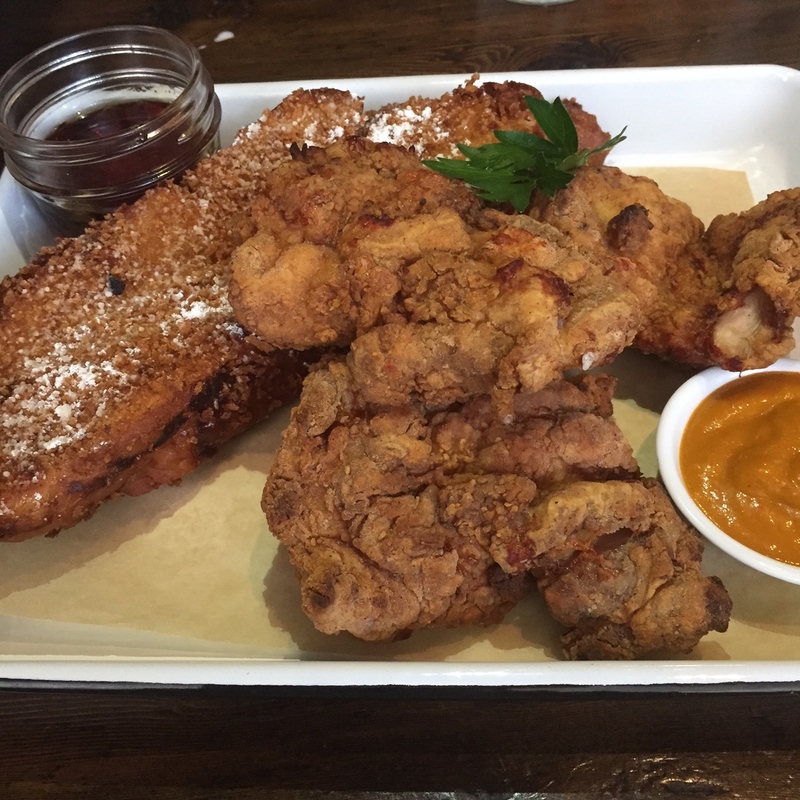 Holy fryer, the chicken was amazing and the challah french toast is mind blowing ($17). 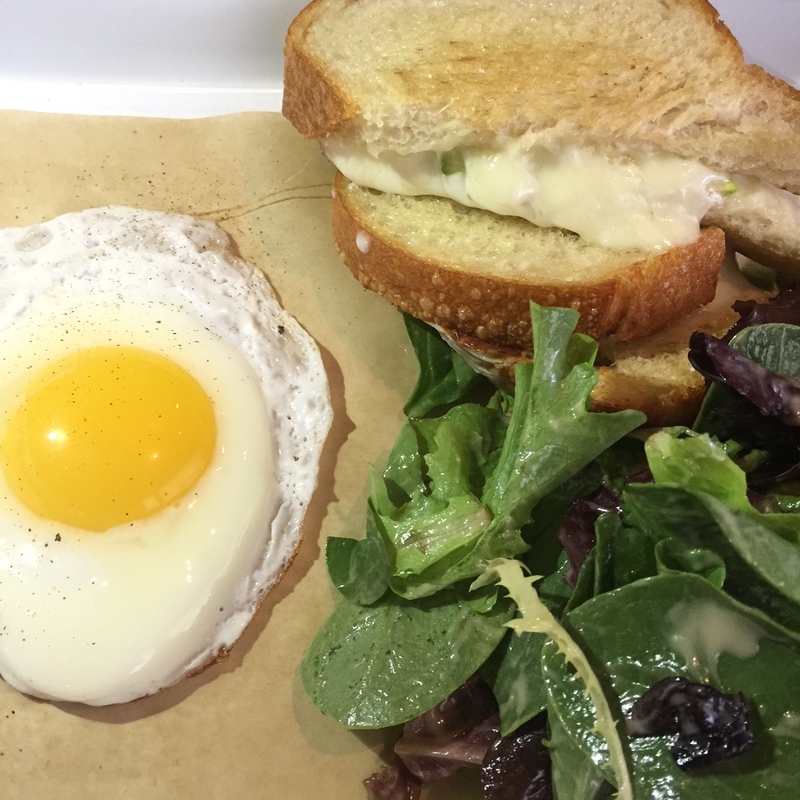 David went with a fabulous Truffle Grilled Cheese with Asparagus, served w/a runny egg and mesclun salad ($14). 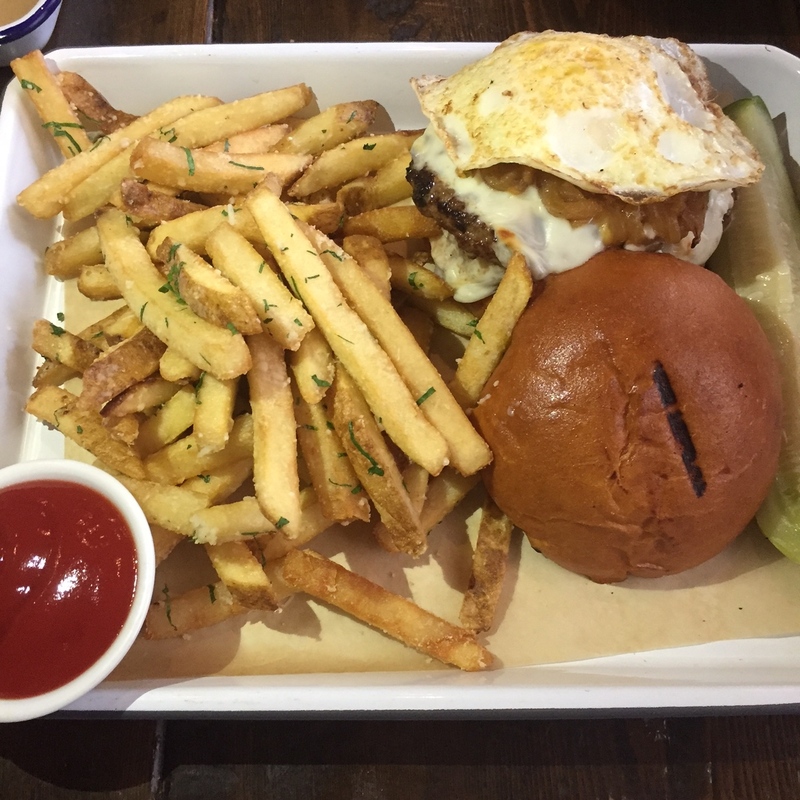 Courtny selected the Burger consisting of two patties, fried onions, cheese, fried egg, pickle and fries ($15). She did not love it. The staff was very gracious, repeatedly offering to bring her something else. I loved the relaxed environment and scrumptious classics. 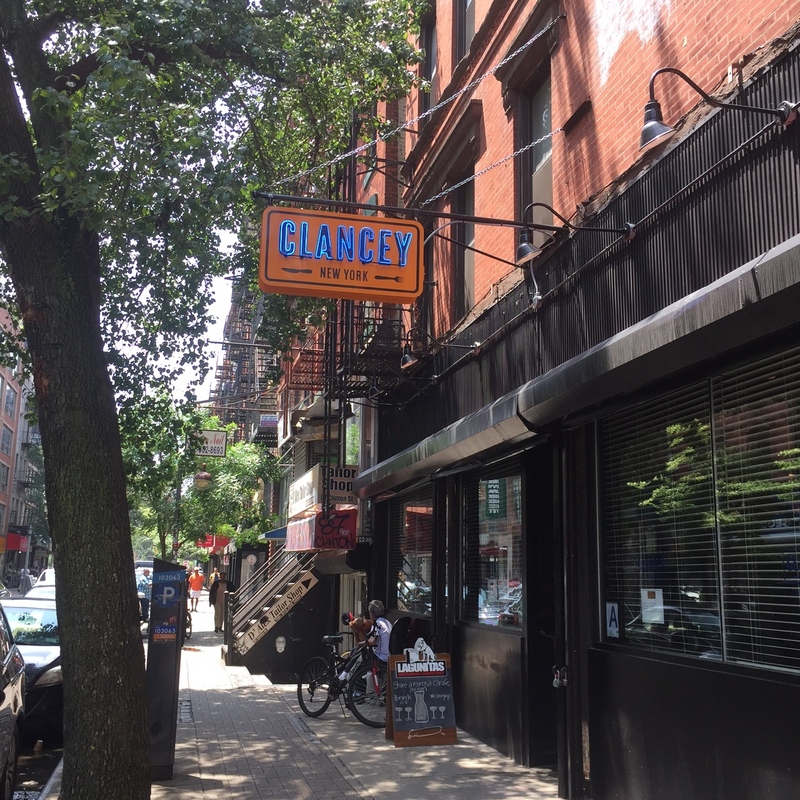 The restaurant’s moniker, Clancey, is a mashup of Clinton Street and Delancey Street. Clancey was opened by Todd Birnbaum (Pinch – Pizza by the Inch) and Dennis Bogart (The Ainsworth, 121 Fulton Street, American Whiskey). We strolled the eclectic lower east side, up through SoHo and headed to the subway. 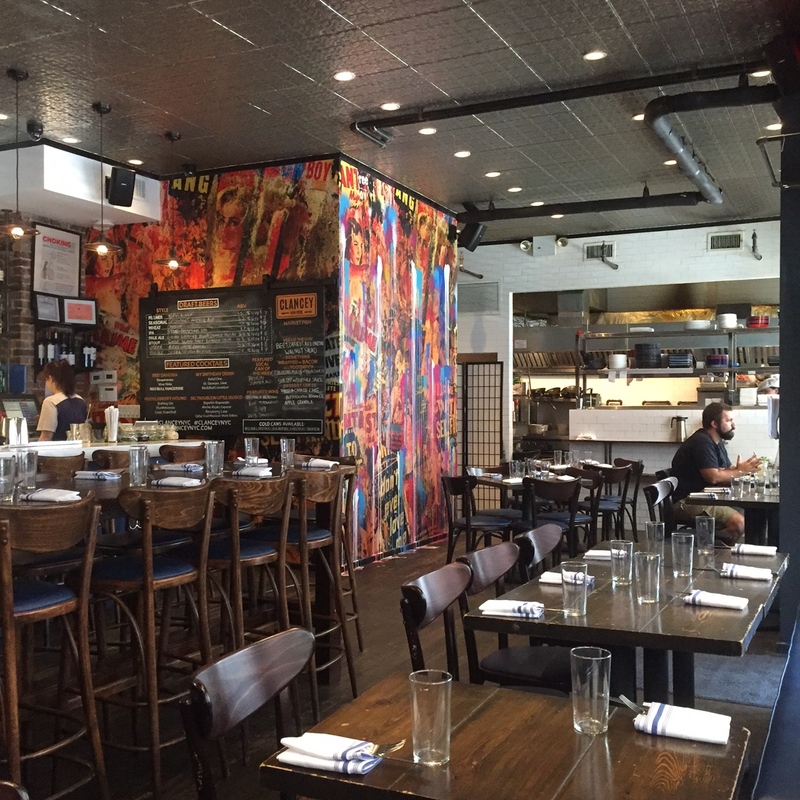 Clancey should be on your Manhattan boozy brunch bucket list. Cocktails and upgraded gastropub food at dinnertime are also recommended. Clancey 79 Clinton Street New York City. Open for dinner Tuesday-Thursday 4pm-Midnight, Friday 4pm-1am, Saturday 10am-1am, Sunday 10am-6pm. Closed Mondays. Reservations on OpenTable.com.